We are third generation of upholsterers, we provide high quality upholstery service through the valley from Aspen to Vail. Commercial, residential, hotels, restaurants and private residences. 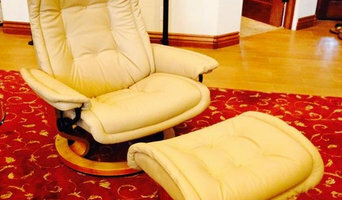 Tailored DIY solutions to repair or restore your leather or vinyl upholstery: furniture, auto, RV, boat, aircraft interiors, even hot tub covers. 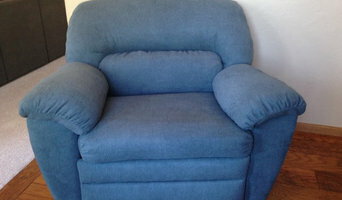 We provide high quality upholstery services. Auto, Furniture, Rv's, and Boats. We also specialize in wall upholstering for your residence or business. Please visit our website for more information and gallery. Re-upholstery/upholstery repair includes redoing/outfitting items like chairs and sofas with springs, padding and fabric coverings. This can also include adding fringe, piping, tufting or additional decorative elements to a furniture piece. They can also advise you about the pros and cons of different fabrics so you can choose the best type for the project in your Aspen home. Find Aspen furniture repair professionals on Houzz. Narrow your search in the Professionals section of the website to Aspen, CO furniture repair.